If you have found clay pipes while walking the dog or digging the garden, or have collected them for some time and want to find out more about them then this CD is ideal for you. 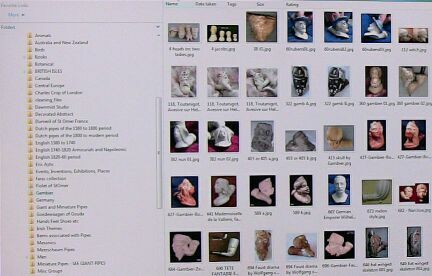 Also helpful to Museum Curators, archaeologists and those wanting to explore material for their own studies. Smokers and dealers of tobacciana will also find my CD of interest. The CD was first released in 1999 and is now up to at least Revision U. Suitable for any PC equiped with CD ROM drive and Web Browser. 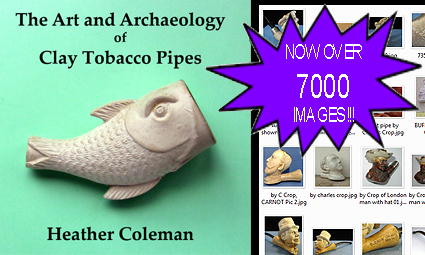 If you want to learn more about clay pipes, follow the link below to my Pipe Index. 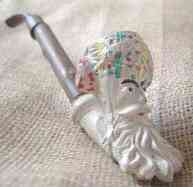 As well as collecting, I also design and make clay pipes for collectors, smokers, re-enactments and study.